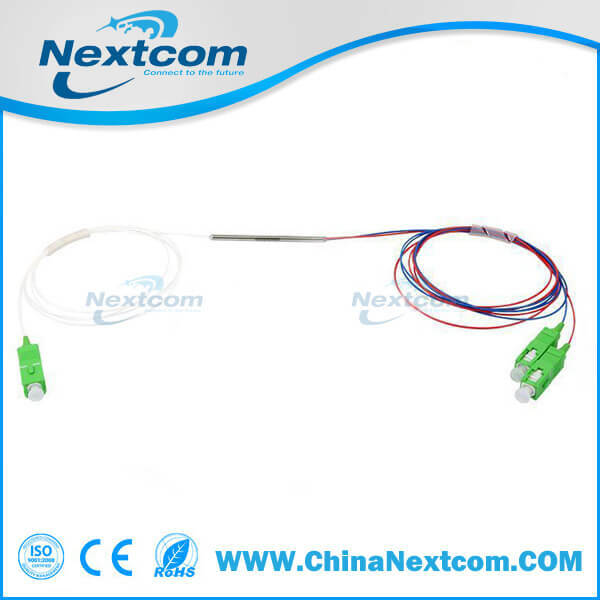 NextCom’ Singlemode wavelength division multiplexer WDM 1310/1550 1X2 2X2 combine or separate light at different wavelengths. They offer very low insertion loss, low polarization dependence, high isolation and excellent environmental stability. These components have been extensively used in CATV, WDM networks, Fiber sensor and fiber optics instrumentation. CATV Links & Fiber Sensors.